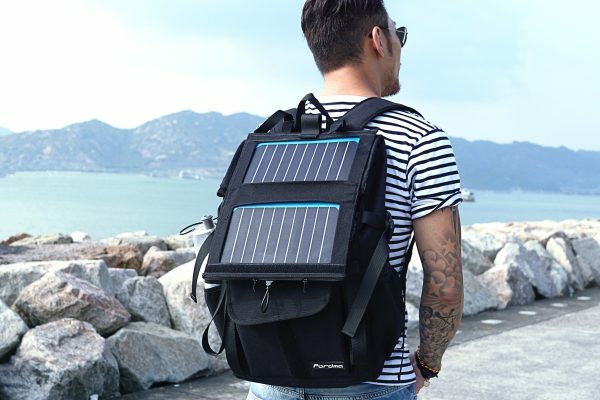 "A solar power backpack with cooling back panel and LED light for everyday use. 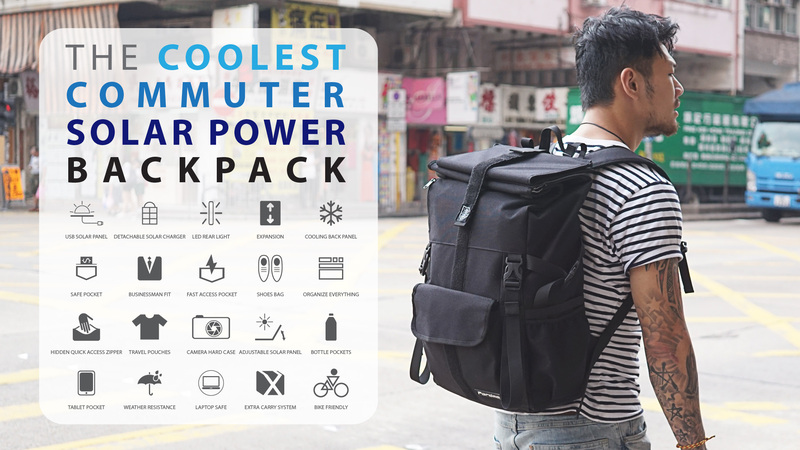 https://hdtk.co/i5ATe"
WALLY 2 is the coolest commuter solar power backpack with LED rear light and over 20 features designed for your everyday commute, working and travelling. The 2 panels high efficiency USB solar charger can be hidden and detached, open it to quick charging your iPhone 7 in just 95 mins under the sun, and hide it when you carry to office. Next comes the cooling gel packs back panel, it freezes you in summer and keeps your fruit fresh to picnic. It has 6 pockets to organize your everyday use. Comes with travelling pouches, shoes bag, multi function phone pouch and camera hard case separate from your laptop and tablet. A backpack that going to change your life.